Three suspects are thought to have rammed a JCB into a Co-op in Rudgwick to steal an ATM, police have said. In an appeal for witnesses, police confirmed the suspects 'made off' in vehicles with the ATM at around 2.40am this morning. A police spokeswoman said: "Significant damage was caused but the building structure has been confirmed as safe. "The road was temporarily closed for forensic examination of the scene. "Police believe that there are three suspects involved, who made off in vehicles towards the A281. 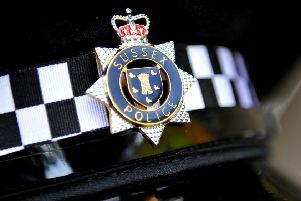 "Police are appealing for any witnesses or information regarding this incident to contact Sussex Police quoting CAD 180 of 09/09."